Seagliders have arrived at IOLR, generating excitement among our faculty and the scientists of MERCI (the Mediterranean Sea Research Consortium of Israel, based at Haifa University and comprising IOLR and the major Israeli research universities). 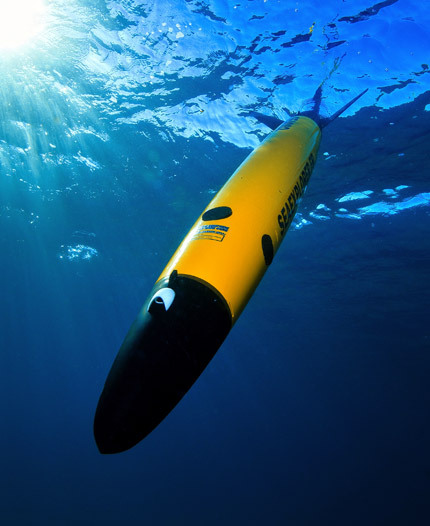 A seaglider is a marine robotic drone, a UAV (Underwater Autonomous Vehicle) that collects physical oceanographic data. It operates over long distances using minimal energy by "porpoising," gliding through the sea using changes in buoyancy for propulsion. Floating near the surface, it takes on water and glides down and forward to depth, then expels water, becomes buoyant again, and glides back up and forward to the surface. With this form of propulsion, the glider can stay out at sea collecting data for up to two months at a time. Each seaglider uses the Global Positioning System (GPS) and its own robotics to navigate its programmed course. Navigation and control commands are sent to the UAV by operators at IOLR to keep the seaglider on task. The data collected is beamed to satellites from the surface and is transmitted to IOLR and stored in our data warehouse. There it is used to model the physical state of the sea in three dimensions over time. Dissolved Oxygen, Chlorophyll and Turbidity (for estimation of ecosystem activity). Using seaglider UAVs, rich datasets of nearly real-time ocean conditions across significant distances and depths can be collected 24/7/365. This is a breakthrough in monitoring sea conditions, providing data in quantity and quality that we have never seen before. 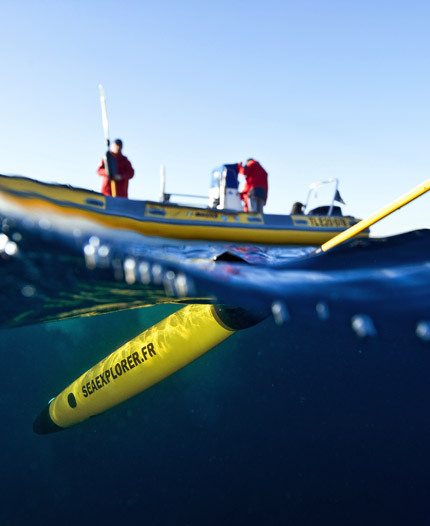 This leap forward in physical ocean monitoring is made possible by robotic technology. In operation, the UAVs require minimal supervision, and the costs of acquiring and running them is reasonable. The alternatives for collecting this data are costly and limited in capability: fixed-point monitoring stations (instrument buoys), remote sensing (satellite geophysical and optical data), and most costly and discontinuous of all, ocean cruises by research vessels. No wonder that the scientists at IOLR and MERCI are excited to start using these vehicles. Three SeaExplorer seagliders were purchased from ACSA-ALCEN (France) and arrived in Israel by December 2015. They are based at IOLR-NIO in Haifa. Today the seagliders are up and running. Satellite communication services (Iridium and Argos networks) were initiated, and scientists were trained to operate the vehicles. (IOLR staffers and scientists from MERCI partner universities completed a week-long course in January 2016). Seaglider maintenance facilities at IOLR-NIO have been constructed and are ready for use. Sea trials found problems that required the manufacturer to send a company engineer to Israel to troubleshoot hardware and software. After fixing the issues, IOLR was successful in running a 12-day mission with one of the seagliders. More missions are scheduled for the near future. The North American Friends of IOLR (NAF-IOLR) helped make all this happen. A group of NAF major donors provided $200K in 2014 and 2015 for IOLR’s share of the nearly $1 million project cost. 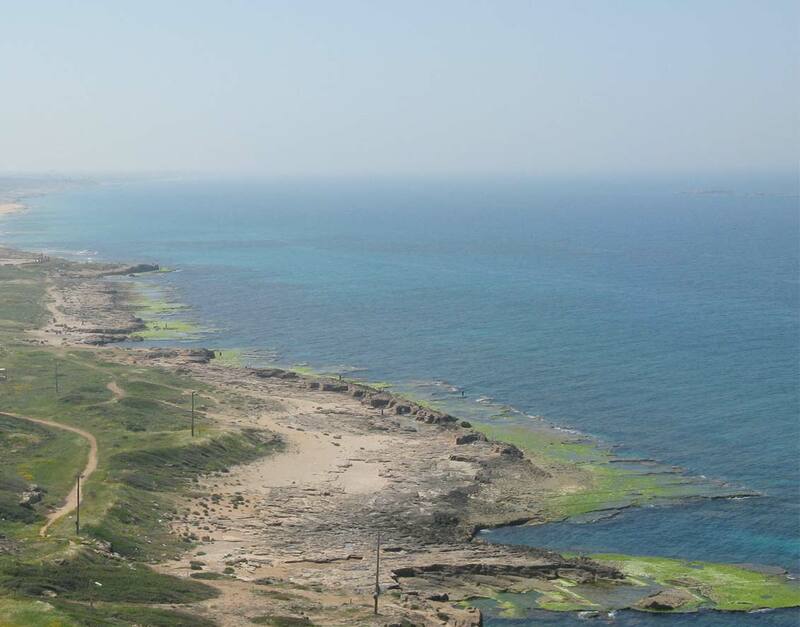 This seed money investment, multiplied many times over by IOLR's MERCI partners (primarily Weizmann Institute, Hebrew University and Bar Ilan University), provides IOLR and Israel with significant new capabilities in oceanography. 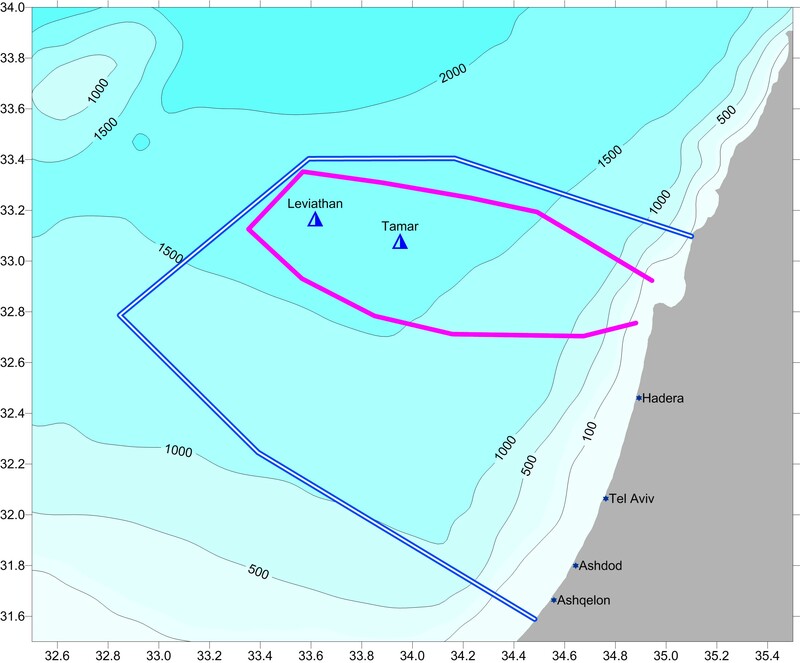 For physical oceanographers studying and monitoring the Eastern Mediterranean, Israel acquiring this fleet of seagliders is a big step forward, and the center of activity is IOLR.